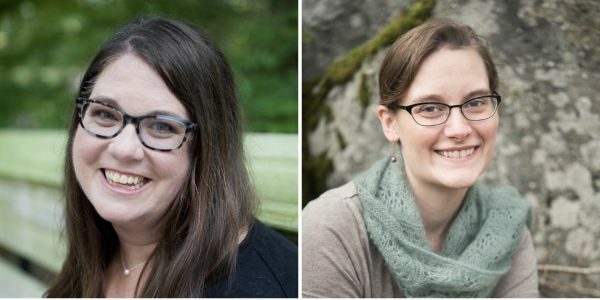 Today I am excited to introduce Gillian McDunn and Julia Nobel, two middle grade, debut authors who have found real life settings as inspiration for their stories. What first inspired you to write for young readers? As a kid, I was a voracious reader and re-reader. I read some books so many times, it was like they became a part of me. Writing was an extension of that love for reading. It’s a privilege to write for kids because when they connect with a book, they give themselves over to it so wholeheartedly. One of my big writer dreams is to someday meet a kid with a tattered copy of one of my books, because it’s been read (and loved!) so much. 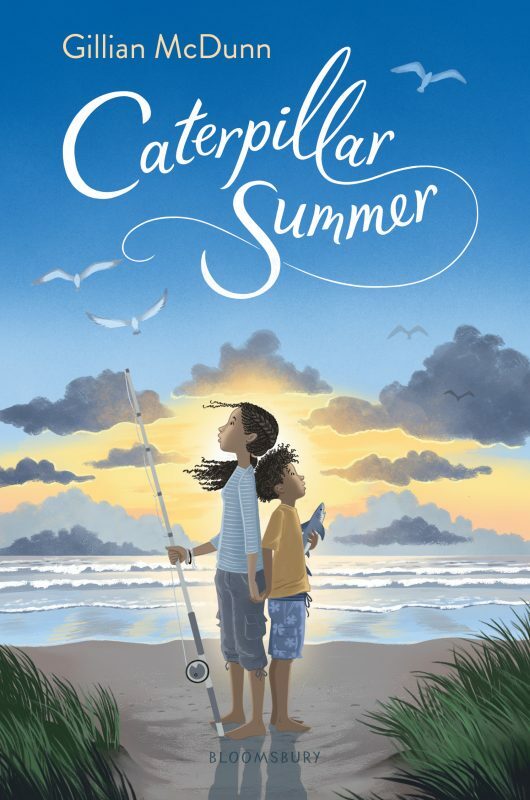 What was your initial inspiration for writing Caterpillar Summer? The inspiration for Caterpillar Summer (Bloomsbury, 2019) is sibling love, which is a powerful force. My brother Andy was born when I was 18 months old. He had multiple disabilities and required many surgeries in infancy. From the moment we first met, we had a special connection. I was his sister, his helper, and his protector. Our relationship was multifaceted—a mix of responsibility, love, and joy. I wanted to capture the feeling of this relationship when I wrote about Cat and Chicken. As a child, I had a lot of responsibility, and at times felt like it was too much to bear. I used to worry that those feelings meant I was weak, but now I know that’s not true. I hope that kids reading this story will realize it’s okay to ask for help. I was also inspired by the North Carolina coast. I grew up in California, which has beautiful beaches. But the water is usually very chilly. 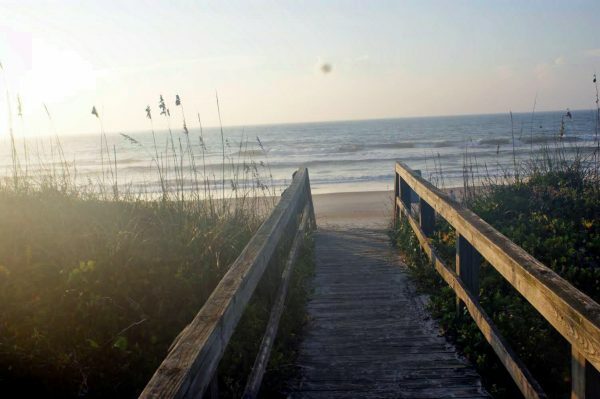 The first time we visited the beach in North Carolina, I was pleasantly surprised by the warm water. The main setting is Gingerbread Island, which is based on a real place—Topsail Island, North Carolina. What was the funniest moment of your publishing journey? Marietta Zacker offered me a revise and resubmit. Her suggestions were so insightful, and I was eager to incorporate the changes. When I returned the manuscript to her, she mentioned that she would get back to me sometime in the next two weeks. My first thought was: There’s no way I can be on edge, checking email constantly for two entire weeks. So I made a deal with myself that I would wait one week before I started obsessing. After that, I could check email like it was my job. My three kids were with me, and they were 7, 10, and 11 at the time. I remember how serious their little faces were when I made them promise to be silent while I took the call. But it turned out that she was able to open the file just fine. And that she said she had read it all in one sitting. And that she was offering representation! I still think it’s funny that I never got to experience the full obsessive mode I had promised myself! 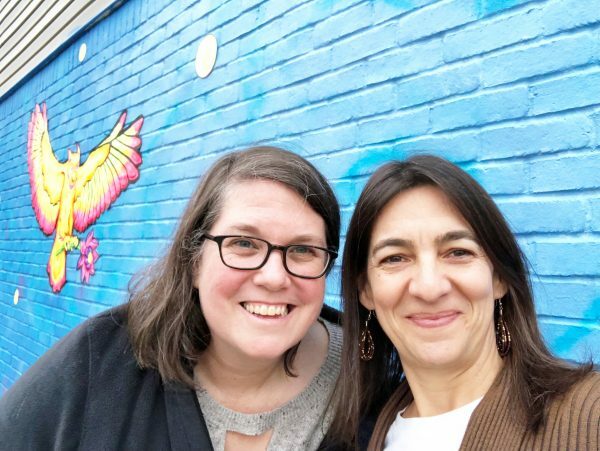 What is your relationship to the children’s-YA writing and illustration community? 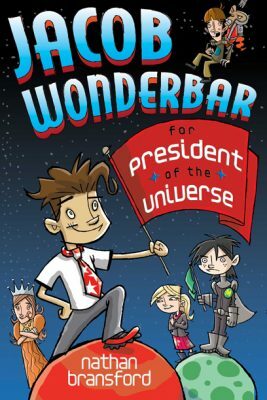 To the larger children’s-YA literature community? I am pretty new to the community but have found it to be full of brilliant, kind, welcoming people. Being in a debut group has been key for me, and I’ve made many close friends that way. A small group of us went to Highlights for a retreat last fall, which happened to be the same weekend as an unexpected blizzard. We made it through ice and snow and had a fantastic time! What advice do you have for beginning children’s-YA writers? I wish someone had told me that it’s okay to be scared and to write anyway. For a long time, I believed that I should wait for that fear to go away before I tried. I know now that writing brings out a lot of emotions for me, and that’s okay. Fear still shows up, but now I just nod hello and keep on going. Describe your pre-publication craft apprenticeship. How did you take your writing from a beginner level to publishable? Oh my gosh, it took so long! 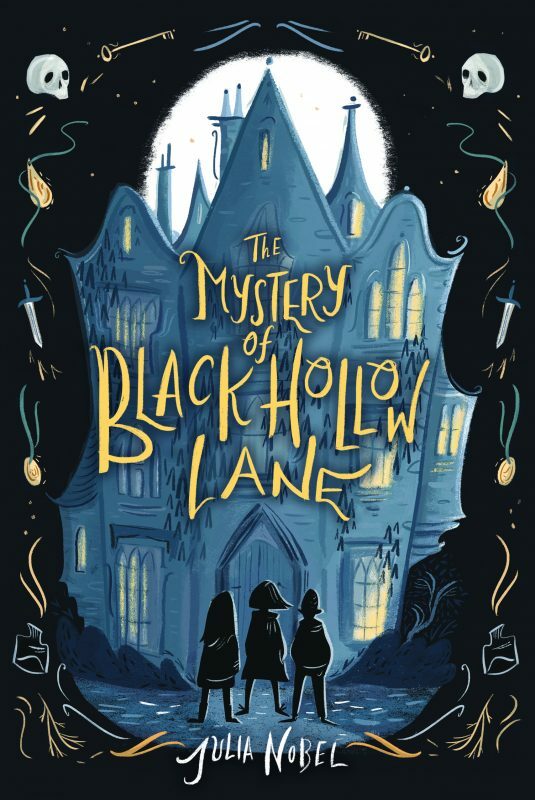 I first got the idea for The Mystery of Black Hollow Lane (Jabberwocky, 2019) in 2008, and I figured it would take me a few months to write. The first draft ended up taking me four years! I simply had no idea how to take an idea and turn it into a novel. I took writing courses at our local college, took lots of webinars online, and started following publishing folks on Twitter. The first course I took was a Writing for Young Adults Class, which was fantastic because it was so comprehensive. I was pretty much clueless when it came to pacing, story structure, and building characters, so I really needed something broad. Once I started querying it, the biggest feedback I had was that agents didn’t connect with the voice. I started researching voice and point of view and realized that my narrator was way too distant for middle grade. I did a complete rewrite from beginning to end and was completely focused on changing the way the story was told. I was lucky enough to be accepted into the Pitch Wars mentoring project, and my mentor really focused on bringing the emotional core of the story into focus. 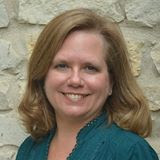 I got my agent, Melissa Edwards, through Pitch Wars, and we went through five heavy rounds of revision before we went out on submission. Sourcebooks picked it up within a few months, which was the only part of this process that’s been pretty quick! What were the challenges (literary, research, psychological, logistical) in bringing the text to life? Research was definitely a challenge. I went to public schools in Canada, so writing about a British boarding school took a lot of work. I read books and spent hours and hours on school websites, learning about class schedules, how boarding works, curriculum, and clubs. That’s where the idea of Wellsworth having a Latin Society came from, which ended up being a really key part of the plot. My husband and I travelled to the UK in 2011, and we spent a day traveling around the area where the book is set. This was such an invaluable experience, because it allowed me to give so much genuine atmosphere to the book. We took the train from London to King’s Lynn, and I took notes on the scenery for almost the entire two-hour trip. We visited the local museum, which gave me a much stronger sense of the history of the area and how the landscape has changed over time. 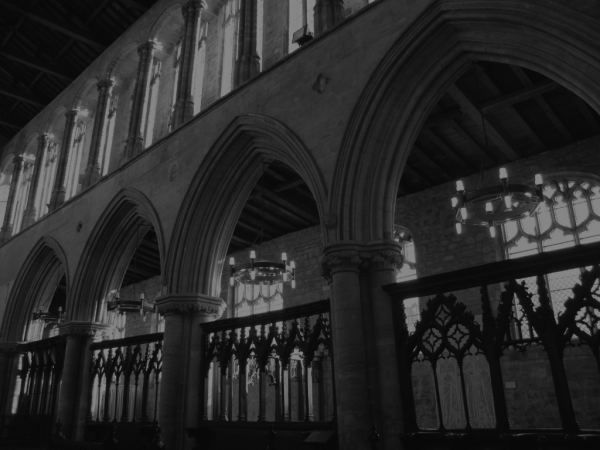 We visited two churches in King’s Lynn, one of which ended up in the book! It was also really inspiring to feel how cold the wind is there, to smell how salty the air is, and to hear what a Norfolk accent really sounds like. Write what excites you. Write what you’re passionate about. Then learn as much as you can about your craft. If can you afford to take classes or webinars, go for it. If you can’t, don’t worry, there are lots of other ways to learn. There are so many wonderful books about writing, and there are some completely amazing websites that are so comprehensive, it’s almost like taking a class. I really got a lot out of Janice Hardy’s Fiction University, Nelson’s Literary Pub Rants, and Nathan Bransford’s Blog. How are you approaching the transition from writer to author in terms of your self-image, marketing and promotion, moving forward with your literary art? I’m trying to focus on doing things I really enjoy, like social media, creating graphics and videos, and doing workshops. I love engaging with other authors on social media, and now I get to engage with readers too, which is fantastic. I’m a teacher, so doing workshops and school visits feels like second nature to me. Talking with kids about writing and creativity is so energizing and inspiring. The school visits I do are more like workshops where we dig deep into the elements of story, developing a plot, and narrative techniques like point of view, dialogue, and voice. I love helping kids learn how to get their ideas onto paper and how to hook people into their stories. I’ve only done a handful so far, but I have about eight more booked for the next month, which I’m thrilled about. I actually offer them via Skype and FlipGrid as well, which I was pretty nervous about at first, but they’ve worked really well! It’s pretty amazing to connect with kids even when they’re so far away. 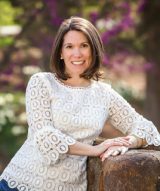 Gillian McDunn has lived in California, Missouri, and North Carolina, and is a fan of both the Pacific and the Atlantic Oceans. She lives near Raleigh, North Carolina, with her family. Like Cat, Gillian grew up as the big sister to a younger brother with special needs. Julia Nobel is a middle grade author from Victoria, Canada. Her childhood obsession with The Babysitters Club turned into a lifelong passion for reading and writing children’s literature. 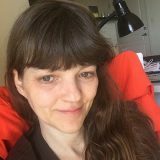 She offers writing masterclasses and courses for writers in all genres, and was a Pitch Wars Mentor in 2017. Her 4-year-old daughter likes to help her write by unplugging her computer and pressing the escape key. 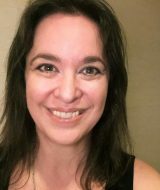 Stephani Martinell Eaton holds an MFA in Writing for Children and Young Adults from Vermont College of Fine Arts.